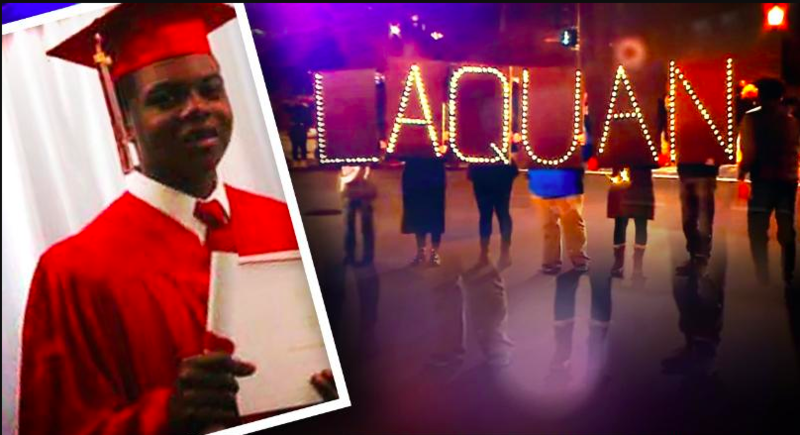 Laquan McDonald was gunned down by the Chicago Police Department on October 20, 2014. After an appalling dashcam video was released to the public, protesters took to the streets to let it be known that they stood for Laquan, and all victims of racist police violence. There have been reports of at least five demonstrators being arrested. The Chicago Community Bond Fund is raising money for their bond. Your donation in any amount is needed. Laquan McDonald was gunned down by the Chicago Police Department on October 20, 2014. After an appalling dashcam video was released to the public, protesters took to the streets to let it be known that they stood for Laquan, and all victims of racist police violence. There have been reports of at least five demonstrators being arrested. The Chicago Community Bond Fund is raising money for their bond. Your donation in any amount is needed. All protesters have been released, either without cash bond or with charges dropped. With your help we raised over $45,000 from over 1300 people in 18 hours! We’re committed to using the money raised to bond out people arrested at ongoing protests and other victims of incarceration. If you have questions or concerns, please contact us at info@chicagobond.org. To support the Black Youth Project 100 donate to them directly at their donation site. May Laquan McDonald and all black lives stolen by police Rest In Power. For more information on the Chicago Community Bond Fund, or to sign up for our mailing list, go to chicagobond.org.